West Yorkshire’s former Chief Constable and the county’s crime commissioner are set to face each other at the High Court in the latest stage of the legal dispute over the senior officer’s departure from the force. Mark Gilmore, who retired from policing last summer, has applied for a judicial review into what he says was the “continuing failure” of Mark Burns-Williamson to decide whether he has a case to answer for misconduct. Leave to apply has now been granted by the Administrative Court, meaning a two-day hearing will take place at the Royal Courts of Justice from November 1. Ernie Waterworth, a solicitor with Belfast firm MTB, which represents Mr Gilmore, said: “My client welcomes this important decision by the court, it is a significant step. The Belfast-born officer was suspended on full pay by Mark Burns-Williamson in June 2014 when news emerged of the investigation by Police Service of Northern Ireland (PSNI) into his relationship with a leading local car dealership. The Chief Constable, who insists he has done nothing wrong, had his suspension lifted in 2015 when Northern Irish prosecutors said he had no criminal case to answer. He has applied for a judicial review into what he says was the “continuing failure” of Mr Burns-Williamson to formally decide whether he has a case to answer for misconduct. But the PCC says he is not obliged to make such a decision for someone who is no longer a police officer. 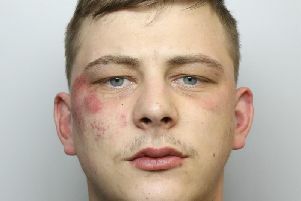 Mark Burns-Williamson, West Yorkshire’s Police and Crime Commissioner, said: “I have received notification that Mark Gilmore has been granted permission to apply for a Judicial Review by the Administrative Court as part of the ongoing process.